Sweet leapin' lizards, y'all. It's HOT outside. Y'know what's even hotter? 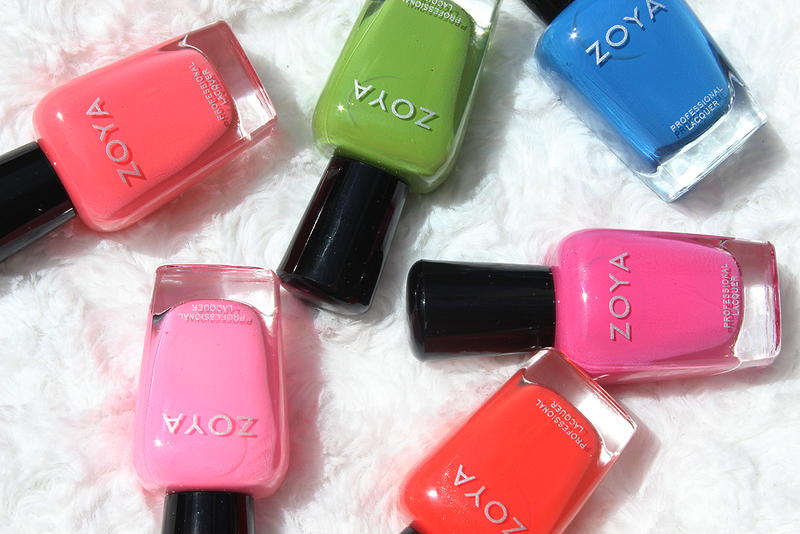 Zoya's Tickled Summer 2014 Collection. Nothing gets me more pumped for sandals and shorts than some bright colors on my toesies and fingers. 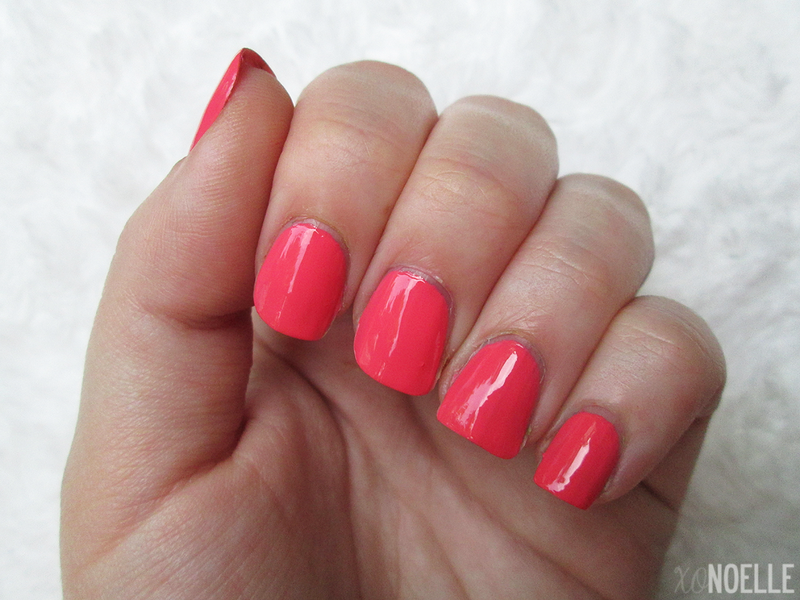 The Tickled Collection is part one of deux - Zoya's Bubbled Summer 2014 Collection is currently being reviewed - it'll be up soon! This collection contains six new shades ranging from lime green to ocean blue to neon melon. Kitridge is described as a classic summer bubblegum pink cream. I would definitely describe this as a neon bubblegum. Think Nicki Minaj pink. First coat went on super streaky but the second evened things out. The picture unfortunately does this no justice because guys, this. is. BRIGHT! I think it might even be brighter if you start with a white base coat and then apply this over it. Rocha is described as a classic folly red cream with warm undertones. Again, this picture does this no justice because in person, it's a bit more orange-y red instead of cherry red in the picture. Application was super smooth and easy to work with. Ling is described as a vibrant royal blue cream that is evenly balanced. 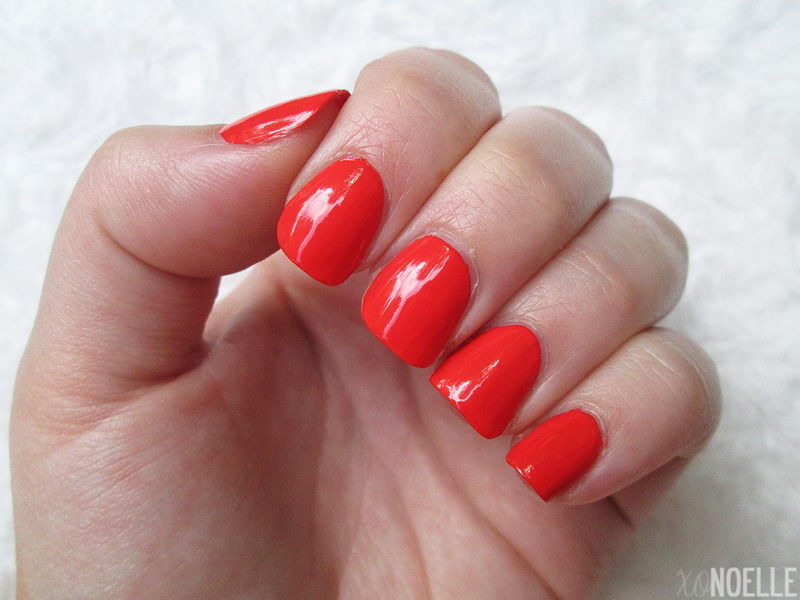 This polish is awesome in two different ways: 1.) This is my brother's nickname for me. I don't even know why but it's been ever since we were little. 2.) This is an insanely fabulous blue. The application was superb with no issues (and no staining!) applying. Rooney is described as a mid-range magenta pink cream with balanced undertones. This polish didn't really do anything for me. It's beautiful, don't get me wrong. It's just your run-of-the-mill pretty pink and reminds me a lot of OPI's If You Moust, You Moust. Application was smooth with two coats for full opacity. Tilda can be described as a warm mantis green cream. 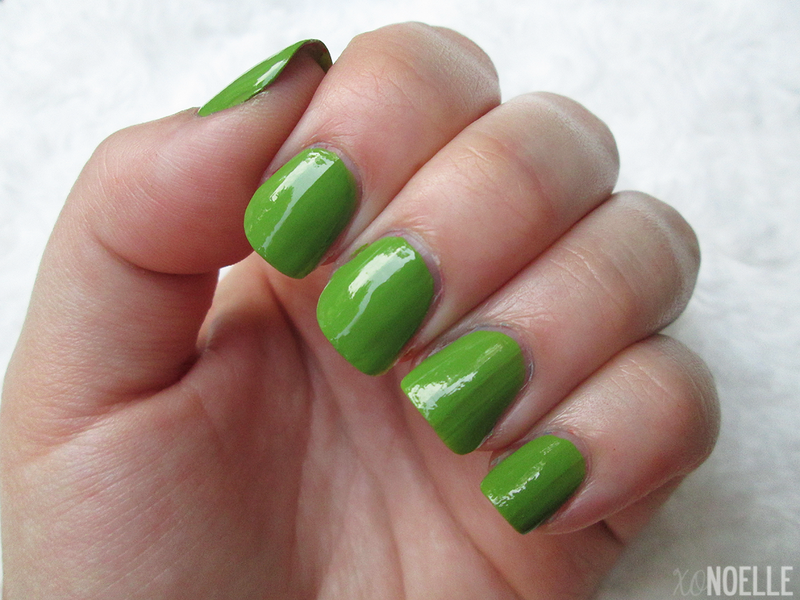 Someone hand me a mojito (virgin, of course) because I got the lime with this polish! It's such a fun green and it's not something I really have. Super smooth application. Wendy is described as a juicy summer melon. Guys. I'm so in love with this polish. I don't even know where to start. The application is so buttery smooth. It's a dream to work with. And the color - the color! - is just, my most favorite thing ever right now. I want this color in sandals, a purse - heck, I'll even take a car in this color. It makes my hands look extremely tan. I'm just in love. You will see me rockin' this all summer long. Overall: This collection is right on the money for Summer 2014. Almost all the polishes (minus Kitridge) were awesome sauce to work with. My favorites were Tilda, Ling and Wendy, for sure! The 'Wendy' shade is absolutely beautiful! It's definitely my fave from this collection! I think I need this ASAP. Wendy and Rocha are just calling my name loud and clear. Great swatches and post!!! I'm obsessed with these colors and want them all. Ling is just so pretty on you! These are all such pretty cremes. Beautiful! Love Wendy on you! Wendy is my favorite of the bunch! Sooo in love with this whole collection. I want Wendy so bad! All these colors are awesome. Gorgeous shades - I just wish the green were a tad bit on the brighter side... but love it nonetheless. Tilda and Wendy for the win! ... and speaking of lizards... freakin' lizard freaked me out last night!!! I love Kitridge and Wendy! These shades are amazing, and I really like Wendy! Ack! The nail polish monster in me is calling. It wants me to nab all of these. SO beyond pretty! The first nail color is so pretty. Love the color for its classy and girly. Love it! Ling is such a beautiful color!